1. 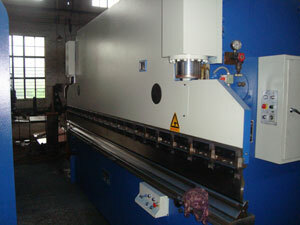 The cutting machine adopts double oil cylinder, four-column, and two standard cranks which connects rod mechanism. Therefore, the same cutting depth at every cutting position can guarantee the same cutting depth. 2. This machinery is equipped with special setting mechanism, die cutter and cutting depth setting, so the travel adjustment becomes simple and accurate. 3. The die cutter is contained by the stand of the pressing board, so that the cutting speed can be lowered. Therefore, there is no size error of cut materials between the uppermost layer and lowermost layer. 4. Lubricating function for automatic system is provided by the central oil station, which can improve the machine precision and prolong its service life. 5. Automatic equipment with easy operation and low malfunction allow using less labors. 6. This cutting machine has the feature of strong cutting power and high cutting speed. 7. This equipment has two handrails to ensure worker safety. 12. Distance piece for cutting knife and separated rubber ring: complete with cutting knife accordingly. This cutting machine commonly apply to cut ordinary steel plates in many industries, including leather, rubber, plastic packing, textile and chemical fibre, and so on. 15) Cutting quantity: 0.4-1.0 mm thickness - 20 pcs. 1.5-2.5 mm thickness – 18-10 pcs. Yingkou Changsheng Steel Structure Project Co.Ltd is a professional manufacturer and supplier of cutting machine in China. Apart from auxiliary equipment products, like multifunction window - door taping machine, color coated steel coils, etc. we also offer EPS - rock wool sandwich panel machine like C purlin roll forming machine, Z purlin roll forming machine etc; high pressure polyurethane insulation painting machine including low pressure polyurethane foam machine and high pressure polyurethane foam machine; k-span machine, like automatic building machine, ultimate building machine and arch style buildings forming machine. With good quality and affordable price, the products produced by our company has exported Germany, Holland, India, Indonesia, New Zealand, Syria, United Arab Emirates, Russia, Kuwait, South Africa, and Bangladesh.If you are interested in our products, please contact us for details.